Find Pineville, NC New Homes for sale. View Photos, Maps and MLS Data Now! Proposed completion date is the end of June. MLS#3492936. Savvy + Co Real Estate. Proposed completion date is the beginning of June. MLS#3492937. Savvy + Co Real Estate. Home is nicely appointed with Granite Countertops, Upgraded Flooring, & Stainless Appliances! MLS#3486345. TLS Realty LLC. The kitchen has gas range and a stainless farm sink… This home will catch everyone’s eyes when they walk in the door! MLS#3480867. David Weekley Homes. McCullough - Seller pays up to $4000.00 in closing cost with preferred Lender MLS#3479643. Pulte Home Corporation. McCullough - Come and see this beautiful new home today! MLS#3477377. Pulte Home Corporation. Wonderful features throughout home, you won’t want to miss this one! MLS#3476210. David Weekley Homes. All nicely upgraded with Upgraded Flooring, Stainless Appliances, Granite Countertops, and MORE! MLS#3469472. TLS Realty LLC. White cabinets throughout home with Cararra Marmi quartz in both kitchen and owners bath are to die for… With the huge master bedroom with sitting area you will be hard pressed to leave! MLS#3468126. 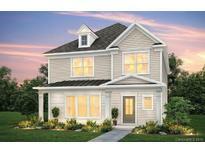 David Weekley Homes. The cook’s kitchen opens into the gathering and dining rooms for easy entertaining, and the loft area is perfect for a craft room, gym, or media center. MLS#3468201. David Weekley Homes. Spacious owner’s retreat with room for a sitting area and drop in soaking tub in owner’s bath where you can let Calgon take your worries away! MLS#3468087. David Weekley Homes. All nicely upgraded with Upgraded Flooring, Stainless Appliances, Granite Countertops, and MORE! MLS#3466461. TLS Realty LLC. With the Chef in you this kitchen will not disappoint! MLS#3466320. David Weekley Homes. The Fairburn is an exquisite, one-of-kind design that welcomes you home to comfort, character and style. MLS#3464234. David Weekley Homes. McCullough - Seller pays up to $5000.00 in closing cost with preferred Lender. MLS#3463385. Pulte Home Corporation. Convenient to 485, Dining, and Shopping! MLS#3458052. TLS Realty LLC. All nicely upgraded with Upgraded Flooring, Stainless Appliances, Granite Countertops, and MORE! MLS#3450452. TLS Realty LLC.